A basic shirt is a must-have in every wardrobe, the problem is, a nice silk white shirt or a striped poplin can seem quickly boring. So transforming a basic shirt is what we will talk about today. What I like to do is usually change the way I would wear a certain piece, to spice things up a bit or to view that piece from a different angle. The way I styled that shirt on the photos above is probably one of my favorites! It looks tricky to do, yet it’s easy but it also mark the waist and enhance the upper body in a very feminine way. For the rest of the outfit, I kept it very simple, as it’s unecessary to do much. 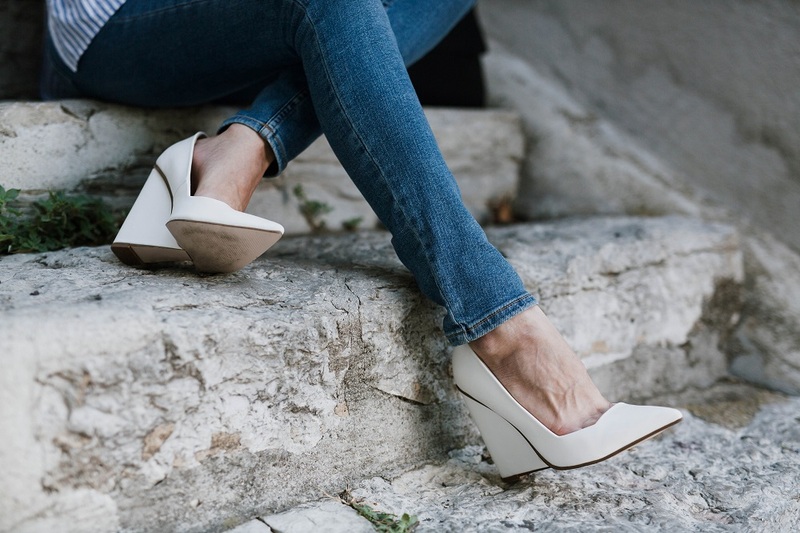 A pair of white wedges (I know, this type of wedges aren’t the trendiest thing right now, but I still adore these!) and a simple skinny jean will complete the outfit. 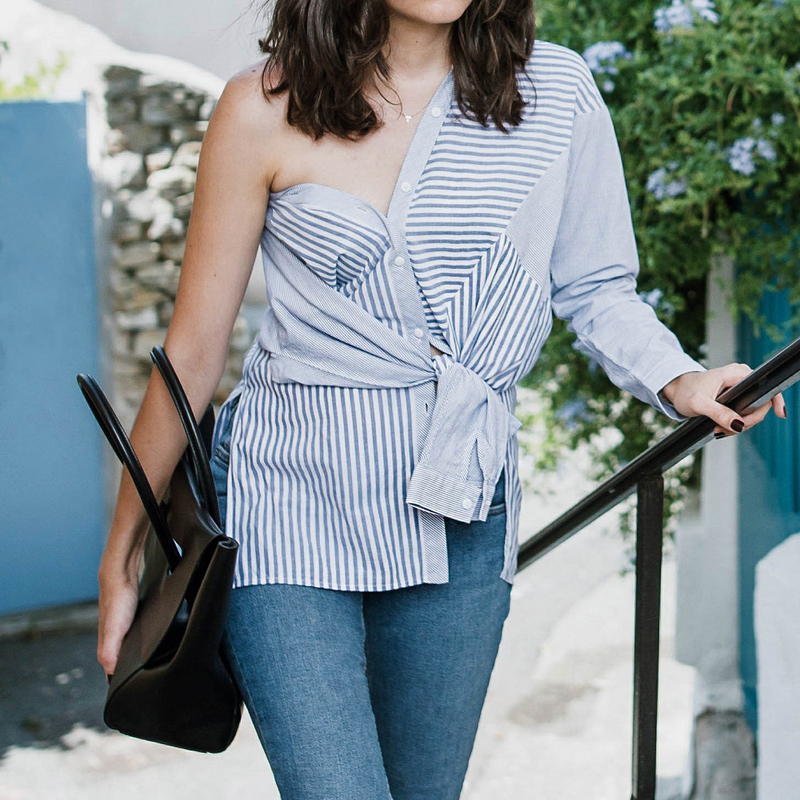 How do you usually style your basics? Let me know in the comment section below! Omg this outfit is amazing! Love the way you've styled the shirt and those shoes… Gorgeous!!! That is so creative, I love how the shirt looks! I love the way you've styled the shirt!! Very creative.